The Faculty Diversity Career Advancement Grant is designed for BSD faculty members (SOM or BSD track) whose background and life experiences enhance the diversity of the Biological Sciences Division. Diversity is defined broadly, candidates are asked to include a diversity statement with the application describing their background or past experiences and how these contribute to diversity in the BSD. Grant amounts vary, please review additional information below. The Office of Diversity & Inclusion’s Small Grants Program (SGP) offers BSD and UCMC staff, students, and trainees up to $2,000 in funding to engage in research and or programmatic interventions that have the potential to enhance and/or support diversity & inclusion within the BSD. Faculty at all ranks may apply, with preference given to Assistant and Associate Professors (Research Assistant and Research Associate Professors are not eligible). Faculty at the rank of full professor must include a rationale for how the funding will further their career development or enable the individual to develop new areas of focus. Applicants must not have received a Faculty Diversity Career Advancement Grant within the last 12 months. Supports activities that enhance career development, including external leadership training, creation of innovative programs or curriculum, or the development of a new research idea or partnership. Travel to conferences will only be considered if the candidate is presenting at the conference and funds are not available through other means. Provides a means to advance research and scholarly activities with potential to lead to publication or applications further grant funding. Research may be on any topic, not limited to diversity or health disparities. Examples include expenses related to accessing and analyzing data, research assistance, and facilities or specialized equipment. Faculty who are not from underrepresented backgrounds may apply for funding to support diversity –related research projects. *If the proposed work requires IRB approval or exemption, provide documentation. Funding Period: Projects or research must be completed within 12 months of receiving funding. Grant funds must be transferred to the appropriate department within 30 days of receiving the grant. What we do not fund: Tuition, faculty salaries, recuperation of clinical revenue, implementation of clinical guidelines, equipment (including computers and clinical supplies), or activities that have occurred in the past. If you are unclear whether your proposal falls within the guidelines, please email the BSD’s Office of Diversity & Inclusion for clarification at diversityoffice@bsd.uchicago.edu. What are you requesting funds for? Timeframe: when will the activity or research occur? Describe how this funding will advance your scholarship or enhance your career development. For Track I – Professional Development proposals: What are your goals and objectives and how will you measure success? For Track II – Research proposals: Describe your hypothesis, specific aims and research approach. This must be written for a lay audience as those outside your field will review the application. Show precision, depth, readability, relatability, and why it is important. If you have previously sought funding for research in this area you may upload that grant application or proposal in the “supplemental materials” section of the online application. For conference presentations: include the link to the conference and confirmation of acceptance (candidates may apply if not yet accepted; funds are dispersed with proof of acceptance). With your application, please include a brief statement about your background or past experiences and how these contribute to diversity in the Biological Sciences Division. Investigate diversity related topics, health disparities, or involve underrepresented or sexual minority populations. Support the scholarship of staff, students, and trainees from underrepresented backgrounds. Enhance diversity related programs and initiatives, including external speakers. We fund BSD or UCMC staff, students, or trainees (trainees = graduate students, postdocs, or house staff). 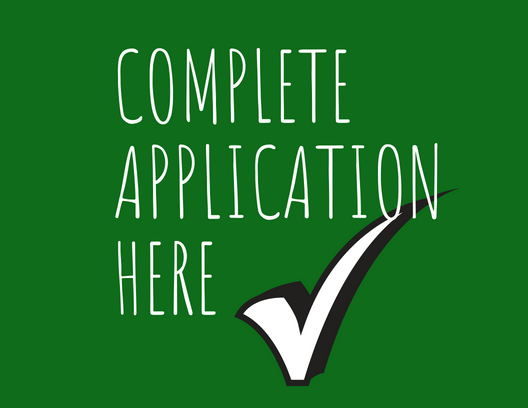 Applicants must not have received one of our Small Grants within the last 12 months. Projects or research must be completed within 12 months of funding. Grant funds must be transferred to the appropriate department within 30 days of receiving the grant. Past awardees have received funding for: Costs related to programs and projects, such as honoraria, conference hosting, and materials. Costs related to research, such as consulting services (e.g. transcription services, data analysis, computing services) and expenses related to presenting their research at academic or professional conferences. What we do not fund: Tuition, faculty salaries, recuperation of clinical revenue, implementation of clinical guidelines, equipment or computers, clinical supplies, or activities that have occurred in the past. If the proposed work requires IRB approval or exemption, provide documentation. What are your goals and objectives and how will you measure success? Expertise of applicant – describe how you have demonstrated success or have strong mentorship in this area. Relevance – how does the project or research align with the priorities of the grant? For research submissions: Describe your hypothesis, specific aims and research approach. This must be written for a lay audience as those outside your field will review the application. Show precision, depth, readability, relatability, and why it is important. *If you have previously sought funding for research in this area you may upload that grant application or proposal in the “supplemental materials” section of the online application. Other sources of financial support secured, if applicable (departmental support, grant support, start-up funding, etc.). For Research appointees and trainees: If the project is to support research in your laboratory, please describe your laboratory’s financial contribution and/or why additional funding is necessary. With your application, include a brief statement about your background or past experiences and how these contribute to diversity in the Biological Sciences Division. BSD or UCMC staff: from your direct supervisor including a statement that there is no conflict with primary work duties.